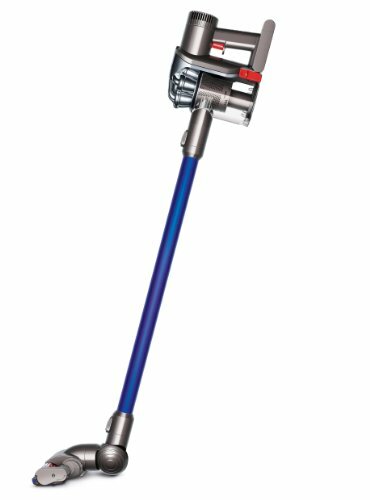 Electrolux Ergorapido Ion Vs Dyson DC44 -- Which is Better? If you are looking to buy a cordless stick vacuum cleaner and have consequently narrowed to the following two -- the Dyson DC44 & the Electrolux Ergorapido Ion -- however can't decipher as to which one to choose, then you have come to the right place. This article aims to highlight both differences as well as their similarities amongst specifications and features -- ultimately determining which one best suits your specific needs and preferences respective to its price tag (and hence overall value). As seen, the Ergorapido doesn't actually state its specified suction power -- but as you can somewhat tell with the difference in battery power (along with other factors of course e.g. 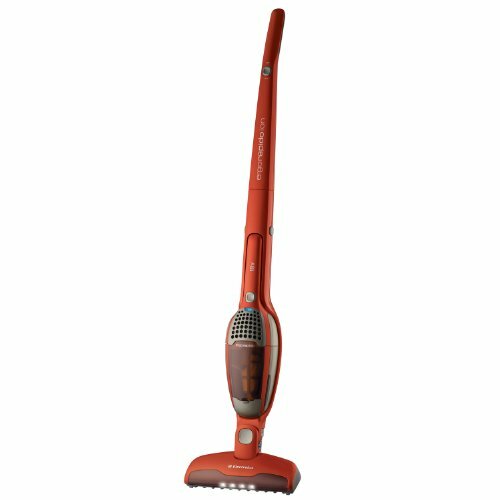 the 'advanced' nylon varied cleaner head of the DC44) the DC44 is by far the better 'cleaner' of the two (in regards to both hard-floor & soft-flooring and large particles & small particles), especially when they are compared in their 'highest cleaning mode' i.e 'boost mode'. Moreover, they both offer a similar technology (Dyson: Root Cyclone, Electrolux: Cyclonic) that basically prevents loss of suction, allows for the bagless mechanism as well as generating centrifugal forces for greater pick up of microscopic dust and dirt particles (favouring more towards the DC44). DC44: Cordless Vacuum Cleaner. Weight -- 2.25 kg. Ergorapido: Cordless Vacuum Cleaner. Weight -- 2.31 kg. As seen there is barely any difference between the weight of the two respective cordless vacuum cleaner with just 0.08kg favouring towards the DC44 -- but in all, both are extremely light. However, the DC44 edges it in this regard also -- due to the weight being ergonomically distributed within the handle (i.e that's where the bin is and motor) it makes cleaning especially high (e.g. ceilings & curtains) a complete ease, whereas the Ergorapido is slighty more baring on the arms. With regards to cleaning floors both were excellent on use of hard-floors, however the Ergorapido did get rather difficult to manoeuvre for when it came to soft flooring (e.g. carpets), the DC44 was still very easy to use. DC44: Battery Life - Standard Mode: 20 Minutes, Boost Mode: 8 minutes. Recharge Time - Unofficial 3.5 hours. Bin Capacity: 0.35 Litres. Turns into a Hand Vac. Wall Mounted Docking Station. Narrow & Low Base Profile. Depth: 11.8" x Width: 9.1" x Height: 44.1". LED Display. Ergorapido: Battery Life - Runs up to 30 minutes on lowest Setting. Recharge Time - Unofficial 3 to 4 hours Bin Capacity: 0.44 litres. Headlights. Turns into a Hand Vac. Narrow & Low Base Profile. Depth: 5" x Width: 10.75" x Height: 42.5". LED Display. As you can see it is actually (& rather suprisingly) the Ergorapido that has the better run life (although perhaps expected considering the more extensive power the DC44 provides) -- but both have a similar charging liftime (from dead to full y charged), but the DC44 gets to have it in a rather stylish and pracatical wall mounted docking station (but it can be charged separately as well like the Ergorapido). They also have a rather similar (and on the smallish side) bin capacity (with a difference of just 0.08 litres in favour of the Ergorapido) but the Dyson has a rather easier mechanism of releasing its dirt and debris collected. A rather unique aspect about these two is that they both are essentially 2 in 1 vacuum cleaners in the sense they can be manipulated and operated into a handheld vacuum (with the DC44 performing in a very similar manner to the DC34) which of course provides many additional benefits such as the fact that they can now perform many intrciate cleaning jobs (e.g. stairways or in cars). Moreover, both have been designed with practicality in mind such as the low profile cleaner heads meaning it is pretty easy to clean underneath furniture (hence saving you the task of having to move them out the way in order to get under them, and to then move them back again) as well as an LED digital display to indicate the battery condition. The Ergorapido also comes with Headlights fitted on its cleaner head to allow the user to see any oncoming dirt & debris but unless you are cleaning in the dark (which I don't know why you would), I failed to see their purpose in truth. DC44: Combination Tool. (Tangle-Free Turbine Tool). Ergorapido: Crevice Tool, Dusting Brush. With the DC44 and Ergorapido, you are also equipped with the same attachments, just that the latter has its split into two -- whereas the DC44's combination tool has a dual purpose (where it is basically a crevice tool that is used for vacuuming and cleaning awkward gaps & areas which also has the ability to double up with its brush nozzle for powered dusting). With the DC44, you have the option to go for an Animal version -- which simply implies that it is also comes with a highly regarded -- specifically designed for efficient & effective sucking up of pet hair -- attachment: the tangle free turbine tool. Both the DC44 and Ergorapido are provided with a 2 (two) year guarantee that covers both labour and parts -- meaning if anything goes wrong within that specified time frame from which you bought it, you can get it completely repaired, free of charge. Moreover, both are fitted with a filtration system that prevents dust and allergens from being expelled into the air during vacuuming so are hence safe to use by asthma and allergy sufferers. Conclusion: Should You Buy the Dyson DC44 or Electrolux Ergorapido Ion? When it comes down to choosing between the two -- I think the major question for you is whether the DC44 has enough benefits and advantages (e.g. more powerful suction, practical features) over the Ergorapido (and to consider likewise in comparison, the Ergorapido has a longer run time, a bigger bin capacity etc.) to justify the extra $100 to $200 that the DC44 has on its price-tag? I personally, would think no it doesn't and if you are only interested in these two models I would go for Ergorapido Ion. But let me know what you choose & why? Also, if you have any questions, remarks or comments regarding either the comparison article 'DC44 Vs Erograpido' or about either of the vacuum cleaner models specifically (e.g. DC44 mechanical specifications) then please do not hesitate to make them in the comments section just below and I will be sure to get back to you as soon as possible.